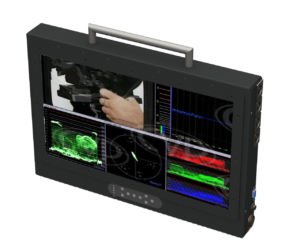 Broadcast, Film, IT, Military or Mobile Command; Virtually everyone can use a MMR. 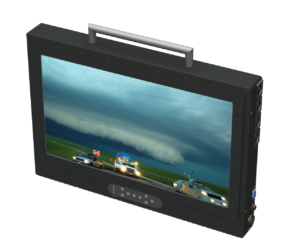 Our ruggedized mobile field monitors are engineered for the most demanding of conditions.. It is perfect for the remote location or helicopter where, light weight mobile, critical viewing is necessary or required. The MMR Series was built from the ground up with HD in mind. This Series of products was developed with the professional News Crew, Fire and Police command Center and Helicopter camera man in mind. Before we designed this product we visited the engineers at NBC, CBS and ABC and asked them what they wanted. We came away with a long list of standard and optional items which we have incorporated into this product.